February is finished – read about what I’ve learned and how I raised over $5,000! For the entire month of February I am living on less than $2 per day for my food. Why? Because I want the red part of this graph to reach zero. I want us to end extreme poverty. There are ~1 billion people living on less than an equivalent of just two and a half Aussie dollars per day*. The good news is that (a) we’ve already come a long way and (b) there are proven, direct, and effective ways to get us the rest of the way. If you are reading this, you’re almost certainly like me and are already in the world’s richest 1-5% – if you don’t believe me, try this calculator. This means we both have an incredible opportunity to a helluvalot of good in the world. This year I’ve committed 30% of my salary to ending poverty. I also want to increase my impact by doing something I find hard, scary and hopefully compelling enough to bring some of my friends and family along with me on a journey to make the world a better place. Please join me making the world better. The charities I’m supporting are not simply band-aids. 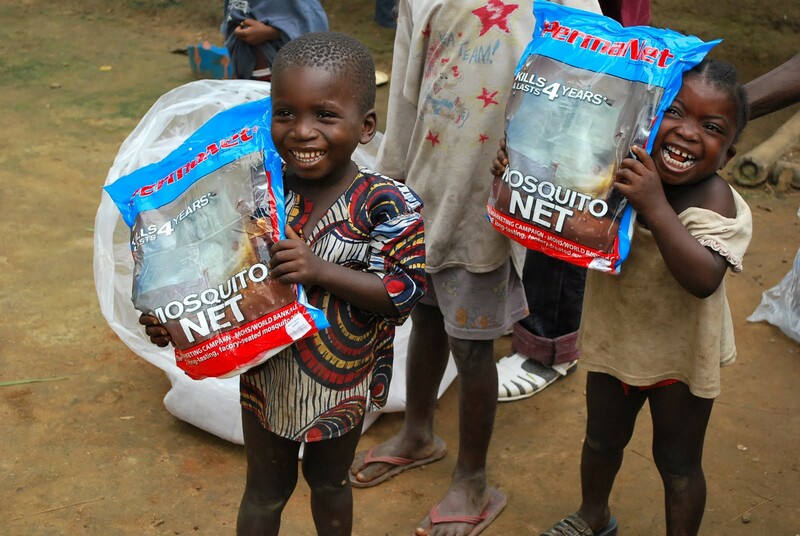 If you care about health, Against Malaria Foundation doesn’t simply save lives, it prevents sickness for hundreds millions of people. This also happens to be a proven way of helping them to get out of poverty. If you care about education, Deworm The World doesn’t simply cure children from the discomfort of intestinal worms, it increases their school attendance and helps them be upwardly mobile. If you care about self-actualisation, GiveDirectly puts money directly into the hands of some of the worlds poorest, they typically invest this money into things like upgrading a thatch roof to a tin one that not only keeps them healthier and safer it has a yearly return on investment (from durability) that’d make Wall Street envious. These are just three of them and they all have a proven effectiveness in both saving human lives and many flow-through effects from health to education and economic. Have a few minutes to dig a bit deeper? Watch Peter in his 2013 Ted Talk explain the logic and practice of giving with your head as well as your heart. The great news is that by taking action you will actually be happier than if you spent the money on an additional luxury. Because science says so. I’ll be sharing my progress along the way – if you’re interested, subscribe to updates. Budget – my total food budget is $2 per day which is a total of $50 for the month of February. I have allowances to buy things that I won’t use in its entirety (e.g. salt). Less everything – I will also be minimising my total expenditure on most other things throughout the month such as transport and entertainment. Some maths – I’ll still be shopping with Joni and using some existing ingredients – all of this will be apportioned but I’m avoiding waste from buying new when we already have things in the cupboard. No suffering – I’m raising money to reduce human suffering and not eating any animal products to reduce animal suffering. No freebies – I’m not eating any food (nor drinking coffee, nor beer ?) that’s offered to me for free. Poverty is a complex issue and not simply solved – donating to the most effective charities certainly helps though. Poverty alleviation is not the only cause I care deeply about, but it is low hanging fruit for reducing human suffering and increasing human flourishing. It is certainly a good cause in my opinion. I am aware that eating just $2/day of food is not even close to an emulation of the true poverty experienced by the poorest ~10-15% in the world (who would also have to use that $2 for healthcare, schooling, water, energy, housing, etc.). $2.50 AUD would reflect the exchange rate difference but I cannot find a current number in AUD. This is an exercise in empathy, not an emulation of extreme poverty. I see it as the best exercise in empathy that I can currently see myself mustering. It won’t be easy for me, so please help make it worthwhile. Luke you are an inspiration! you are an amazing human being. I like to see a man of action! Well done.